From day one of this blog, I had the idea to make “fuss-free” vegan recipes, but it took me awhile before I really nailed down what that meant. In the beginning, I thought the best approach was to use no specific measurements and vague instructions for my recipes… Unsurprisingly, recipe testers had varied results. Yep, not the smartest idea I’ve ever had. 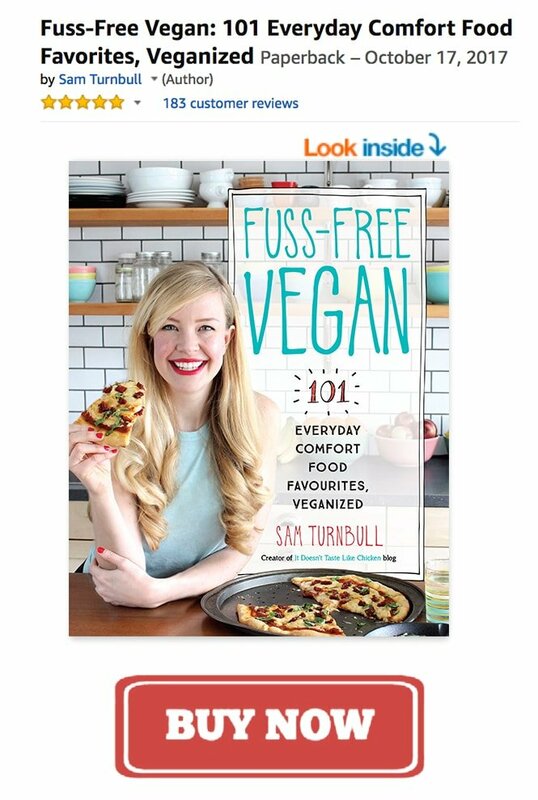 Luckily, it wasn’t long before I re-thought “fuss-free” and made it all about simple ingredients, and quick and easy recipes. That doesn’t mean that my original fuss-free recipes (if you can call them that), were bad, it just means there was a dreadful lack of guidance and poor food photography to boot. So every now and then I like to go back in time and revise one of the original fuss-free recipes. I’ve done it before with my 6 Ingredient Pulled Jackfruit, and Lentil Tacos with Avocado Cilantro Sauce, and today I am doing it with these Vegan Beet Burgers. Because omnomnom!! My first version for vegan beet burgers required too many ingredients, a couple of flavours were competing, and of course, some measurements would be helpful. I’ve taken it from 14 ingredients to just 10, made it simpler and quicker, and got those flavour notes on point. The intense colour of these burgers is so neat, but what’s really rocking my socks is how the beets provide this deep rich earthiness to the burgers. So much flavour depth. The oats and lentils make a great base, and the sneaky trick is adding a bit of peanut butter which adds some richness and good fat balancing everything out perfectly. 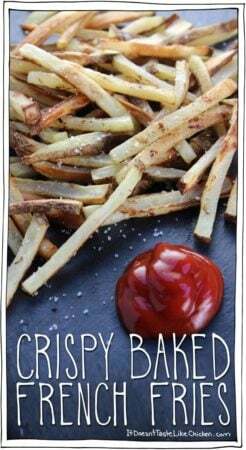 When you make these, the dough is really sticky, but once cooked, they firm up and have a nice texture bite (no mushy burger here)! 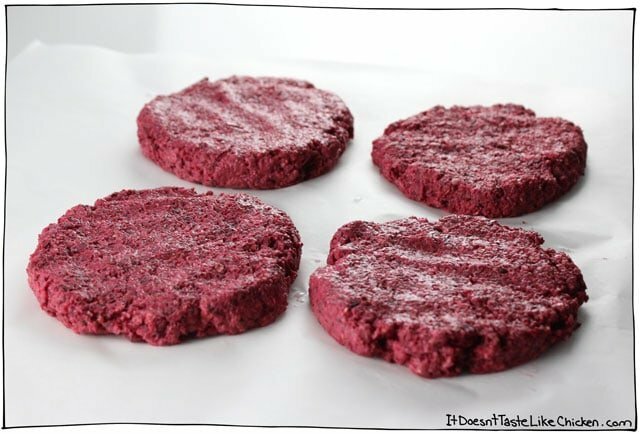 To make Vegan Beet Burgers: peel the beets. 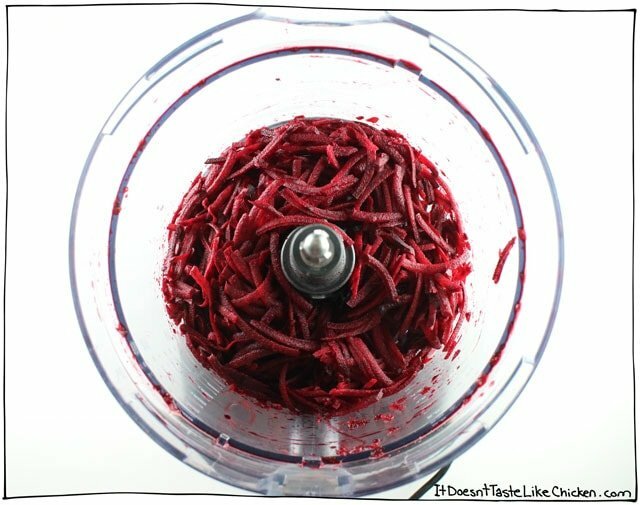 I have a grater attachment for my Breville food processor so I used it to grate the beets directly into the processor. If you don’t have that, just grate beets with the grater you have. 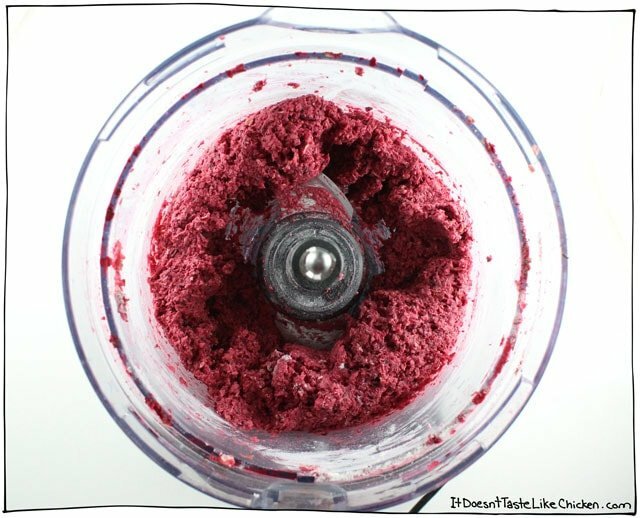 Then just add the beets, along with all of the remaining ingredients to the food processor. Pulse, stopping to scrape the sides, until the mixture comes together. 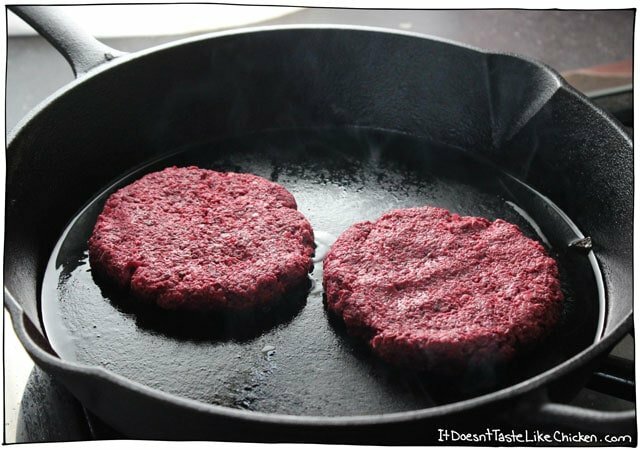 Then you can either fry or bake the burgers, until brown on the outside and tender on the inside. Leftover burgers get quite firm in the fridge overnight, so I prefer mine freshly made. However, if you like a nice firm bite, you might enjoy them even more! Quick and easy recipe for a hearty veggie burger with a perfect bite (not mushy). These burgers are amazing!!! I didn’t have enough fresh beets so used 1/2 cup of the roasted vacuumed packed ones. I squeezed out the excess liquid since those were much squishier. The texture and taste was perfect! My picky meat eater boyfriend was super impressed and is now going to request me to make these all the time. I’m ok with that since they were super easy to make! 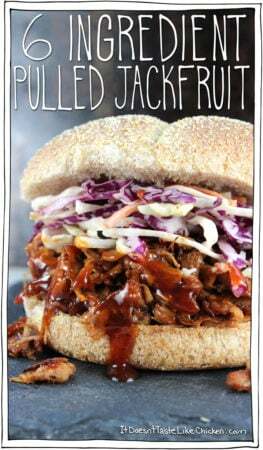 Thanks for another great recipe, Sam! Tried these out last night, and my 11 year old daughter inhaled 2 of them along with some roasted potatoes and green shake, LOL! So I would say they were a hit! 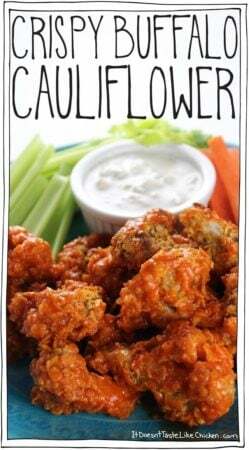 Will definitely be adding these to the supper rotation! Thanks for another great recipe, Sam!!!! Curious! Would it be possible to make up a bunch ahead of time and freeze, and would you freeze before cooking them? Or after? For sure! I would bake them and then freeze them. Enjoy! Hello! 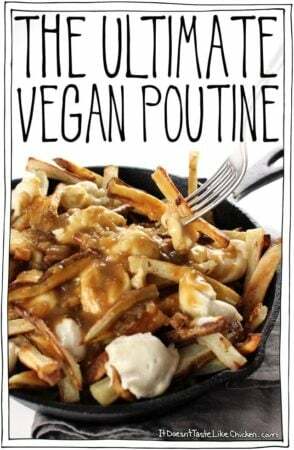 I’m newly vegan, I absolutely LOVE all of your recipes and I am so excited to try this out. 🙂 Can these be frozen like the seitan steaks? I’m the only vegan in my house and I would hate to waste any leftovers. Thank you so much, Hannah! I’m flattered 🙂 Yes, to freeze them, I would recommend baking them for about 20 minutes. Let cool and then freeze. Then you can reheat by popping them in the oven or frying them up. Enjoy! GENIUS! I would never in a million years put together these ingredients and think they would come out tasting so delicious! I was so hesitant to try these but couldn’t say no with how easy they are to make and I had everything on hand. Thank you for this recipe! It is definitely a keeper! Hi Sam! Can you use a different flour instead of all purpose like almond, chickpea, oat, etc? Thank you and I can’t wait to make this recipe!! I stumbled across this recipe when I was trying to figure out different ways to cook beets, and I can’t wait to try it! I was wondering if the burgers could be frozen, and then cooked later? I haven’t tried that myself, but I am sure it would work fine. Enjoy! Hey Sam, thanks for this recipe. My first attempt came out a bit gooey when raw, but definitely salvageable (and delicious) when pan fried. I followed your proportions exactly (just doubled everything) and even increased the flour when I saw that it wasn’t holding together. Any suggestions for helping the raw burger to stick together? Hi Ron, glad you enjoyed the burgers! It sounds like there was a bit too much liquid in your burgers, likely from the beets. Make sure you measure carefully but adding a bit more flour will do the trick if the problem happens to you again. Enjoy! Cannot wait to try this recipe. Bought some of these premade at Food Lion this week and they were very good! 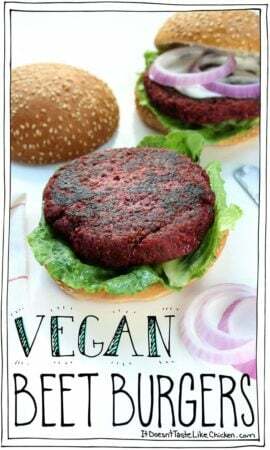 These are by far the BEST BEET BURGERS EVER!! Thank you so much for sharing this recipe. I have made several different ones that took 1/2 a day to make and they were not any where close to these. My husband who is a eats mostly veggie ( by force! lol) loves them. 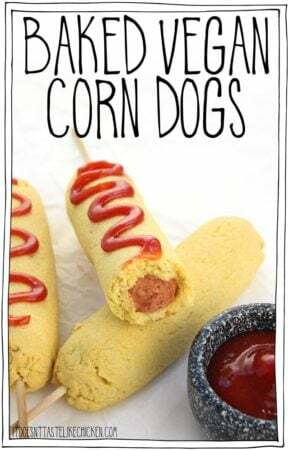 I can’t wait to make these at our next family BBQ. I have been following you since I went vegan and love all your recipes that I have made. Delicious vegan cooking made easy! Well youve got it a little wrong when you think that being vegan is colesterole free! Cholesterol only comes from animal products. So if you only eat plants (a vegan diet), then it is indeed cholesterol free. I think you may be getting confused between cholesterol and saturated fat. As Sam said, only animal products have cholesterol, but many plants contain saturated fat. Any nut or seed butter will work wonderfully. Enjoy! I was very unsure how these were going to turn out. However, they came out amazing! I paired them with some frozen mixed veggies and a sweet potato as sides. Thanks Sam! Dang, girl, you’re good! Best burger, EVER! I did my usual sub- chickpea flour for the all purpose flour and added a bit of horseradish! Mic drop! Husband…”can I have another one?” Sure! Absolutely!…. “Did you want to keep this one? It might go bad.” “oh, that case you had better have that one, as well”. No leftovers today! I have to get a bigger recipe box! Yeah, I’m old school! Very old school! Wishing you continued success, Sam! I used 75% of the amount of all purpose flour required for the recipe. The pulse flours are denser than all all purpose what flour. I used horseradish to taste. I like a good kick of horseradish, personally- 1 tablespoonful. If you want just a hint you could try 1 teaspoon. It all depends on the potency of the horseradish itself. You could use Japanese horseradish, as well. When you substituted the chickpea flour for all-purpose flour, did you use the same quantity? Also, how much horseradish did you use? Nina thanks for fan recipe. I keep reading about using. vital wheat gluten Inn burgers etc., do you have any idea if this would work in this recipe. Goi g to try it as it is anyway. Looks amazingly. Glad I read comment so as your mentioned 230g weight of beetroots. Really helpful to UK readers. Hi Nina! I wouldn’t recommend adding vital wheat gluten in this recipe as that is a whole other product that would dramatically change the results. I hope you enjoy the burgers! Hi! Can you tell me the ingridients in grams and not in cups? Hi Sofia! Cups are volume measurements, and grams are weight measurements, so one does not equal the other. I know a couple of my UK readers have picked up a set of measuring cups and spoons online so that they could easily make any Canadian or US recipe without the need to convert. Hope that helps! I’ve just found your blog and have bookmarked a bunch of your recipes. Thanks for sharing your vegan creations! Would it be omnomnom if I used canned beets? Hello! 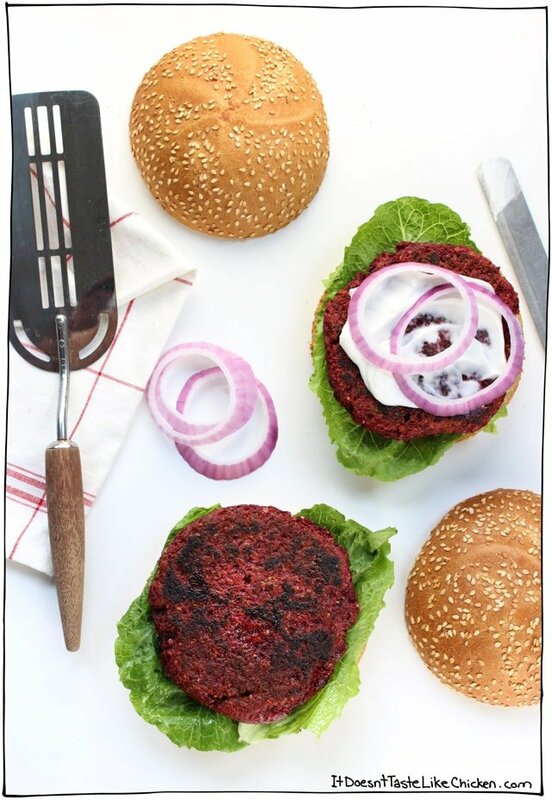 Imagine not a fan of beets at all but by reading the comments and just because this looks amazing I am going to give these burgers a try today! But quick question, on your previous recipe for these burgers you used pickled beets, I just so happen to have some, do you think I could use those in this version or no? Haha I wonder if you will like these then? Hmmm… Haha. I would stick to fresh beets for this recipe as the flavours and textures are balanced here. Enjoy! Quick question, I plan on making these tonight and just wanted to check if the oat should be cooked or are they raw? Hi Tilou, raw large oat flakes are perfect! Rolled oats are just a different name for the same thing. Enjoy! 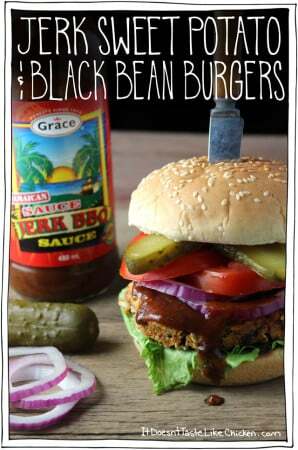 I made these and substituted chickpeas for the lentils and the burgers came out great! Thanks so much for sharing it!! added olive oil for the fat! 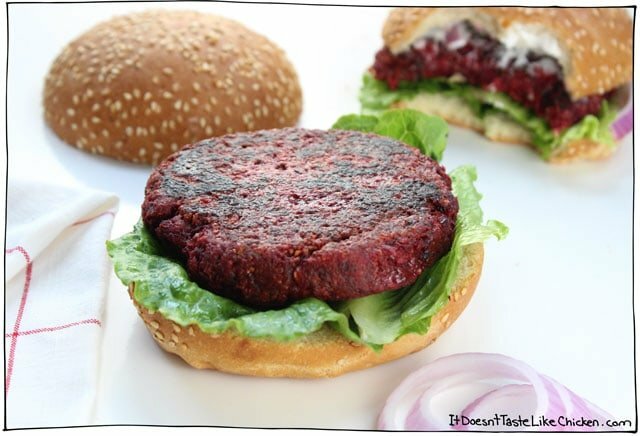 Loved that recipe, it’s the easiest and best beetroot burger recipe I could find, I was just wondering if you ever tried with those vacuum packed beetroots instead of raw, or if you think it would work along with the other ingredients? Thanks in advance! Crazy question but I’m a non meat eater for ethical reasons but I do love the flavour and texture of meat. I’m trying to find a good burger recipe ave this loons like a winner to me except my partner doesn’t like beetroot. This will sound ridiculous but how obvious is the flavour of betroot here? Thank you in advance. Hi I have a question. 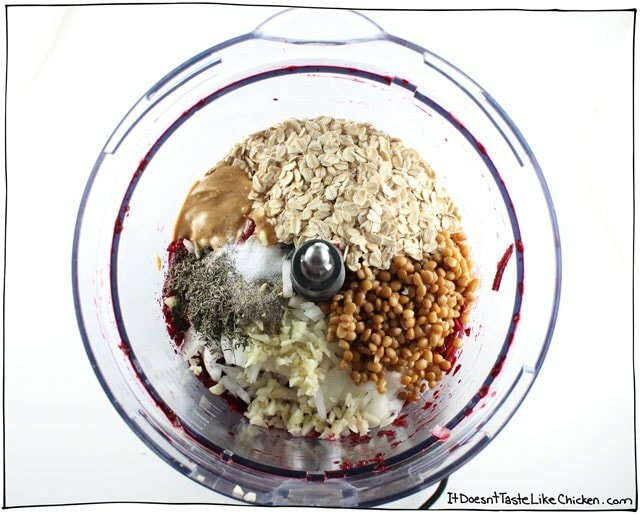 Can I make it without peanut butter and any other nut butter at all? Or how can I replace it? Hi Anna, the peanut butter adds a bit of fat, flavour, and stickiness. If you don’t want to use it you could try just skipping it. Hope that helps! While I was reading this I started to dream about “Cottage Pie”. Question: Do you think the mixture would cook up in a skillet like ground beef or crumbles? To use as a base for the pie. Oh. My. Gosh. These were amaaaaazing. I made a few changes, subbing walnuts and chia seeds instead of flour. I also used cooked beets from Trader Joes, the kind that are in a plastic vacuum sealed package in the cooler. I didn’t really measure the oats, I just made the mixture without oats and then added oats until the mixture felt right. They had a great texture, held together well, and got a thumbs up from my non vegan husband. HI, I have previously cooked beets. Could I use them in this recipe or do they have to be raw? I’ve never tried the burgers with previously cooked beets, but my guess is it might make them a bit mushy. Can white beans be substituted for lentils, or would they be too soft? Thanks! I think that should work just fine. Enjoy! These were absolutely amazing. I seriously couldn’t believe how much I liked them. I at this on a toasted whole wheat English muffin. I know this is a vegan recipe, but for those who are not vegan, I found a little Sriracha mayo went well on it and have a feeling some nonfat plain Greek yogurt with a squeeze of lime might go well too! Thanks again. So good! These burgers were fantastic. I found I had to cook them longer to get them drier. I was wondering if you can make them a day ahead then, cook in the oven and then just heat up on the grill for a char flavor. Have you had any experience freezing these after cooked so you could heat them up later. 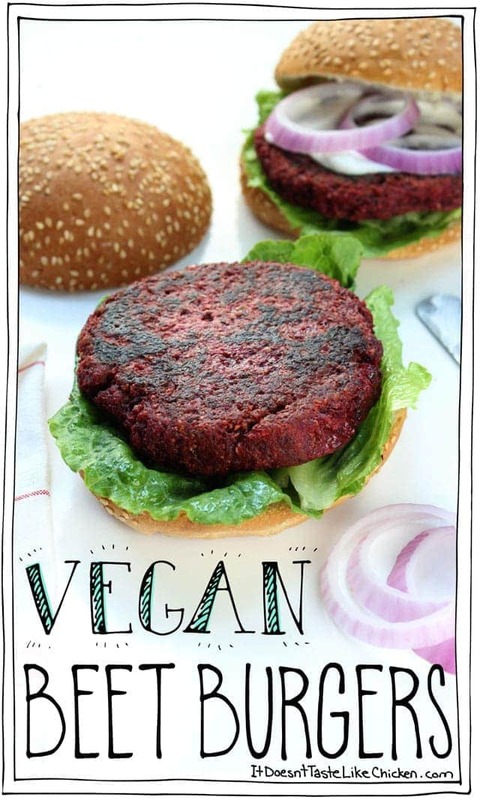 This really is the first veggie burger that has not crumbled. Thanks for the recipe. I’m so happy you loved them, Richard! Low and slow is the way to go 😉 From my experience, I don’t love the texture of them when they are left for a day, as they tend to get a bit chewy and bready. However, maybe you will like them like that. If you wanted to prepare them ahead of time, I would form them, and drop them onto parchment paper, and pop in the fridge uncooked, or maybe even the freezer (I haven’t tried that). Then just heat up the grill or frying pan when hunger strikes. Hope that helps a little. Enjoy! I made this burger and it came out excellent, My husband loved it and wanted more so he bought more beetroots. Thanks for this awesome recipe. These look great. What sort of lentils did you use? Can you make a suggestion for an oats substitution? We’re gluten free with oats sensitivity. You could try cooked brown rice, I’m pretty sure that should work well. Enjoy! I attempted to make this recipe tonight and failed miserably:( I must have added way too much beets because it was a soupy mess. I tried to double the recipe- still soupy… At that point, I gave up. I guess, I’m not familiar with what a medium size beet is. Oops. Next time I’ll slowly add the beets to make sure I have the correct texture. Oh no! so sorry to hear that. I will test these again pronto and measure the grated beets in cups to help you out, but I don’t think it would affect the burgers too much if there was a little more or a little less beets. The beets are grated raw on the large grate hole so they are quite dry actually and not add too much moisture until cooked in the burger later… I will re-test and let you know. I retested this recipe, and my 2 medium beets made 2 cups grated or 230 grams. With those measurements they worked out perfectly! If you try them again, make sure to pulse the burger mixture only a couple of times, stopping to scrape the sides as needed. You still want the burgers to have a bit of texture. Hope that helps! Did you maybe use canned or jarred beets instead of fresh? I’m thinking about trying these soon. I’ll use fresh, raw beets and let you know how it goes! Hey Sam, do you think these would hold up on the grill?